From Goodreads ~ Eighty percent of companies say they deliver out­standing customer service but only 8% of their customers agree. This book will help you close that gap by reconfiguring your customer service to deliver knockout experiences. ·Offstage haters. These people simply want solutions to their problems. They complain via legacy channels where the likelihood of a response is highest - phone, email and com­pany websites. Offstage haters don’t care if any­one else finds out, as long as they get answers. Onstage haters. These people are often disap­pointed by a substandard interaction via traditional channels, so they turn to indirect venues, such as social media, online review sites, and discussion boards. Onstage haters want more than solutions - they want an audience to share their righteous indignation. "Hug Your Haters" shows exactly how to deal with both groups, drawing on meticulously researched case studies from businesses of all types and sizes from around the world. It includes specific playbooks and formulas as well as a fold-out poster of “the Hatrix,” which summarizes the best strate­gies for different situations. The book is also filled with poignant and hilarious examples of haters gone wild, and companies gone crazy, as well as inspirational stories of companies responding with speed, compassion and humanity. Regardless of your title and position, I think that everyone's job at times includes problem and complaint resolution. A large part of my job is interacting with our clients so I find books about dealing with interacting with customers/clients interesting. 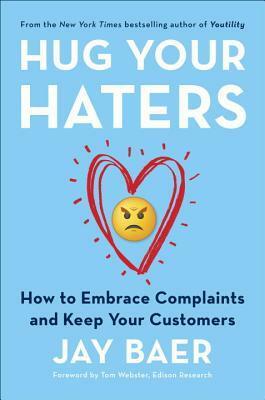 This book is about modern customer service, how to hug your "haters" and turn the situations around. There are two kinds of haters. The "offstage" hater is more silent in that they contact companies to complain by phone call or email. The "onstage" hater is more public in expressing their complaints by posting them on social media, online review sites, etc. The book covers how to deal with haters, handling trolls, measuring customer service, answering (or not answering) complaints by the different channels, why you need to answer every complaint in every channel every time, how fast you need to respond to customers, software recommendations for handling online and offline customer service, and more. I thought this book was interesting and I liked the writing style. 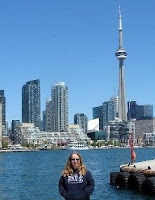 There are many examples from large and small companies. At the end of the book, there is a handy appendix summarizing each of the chapters, which makes it an easy reference guide ... each chapter is summarized with key points and key data. There is also a detailed notes section with references to the information throughout the book (including websites). I'm both a offstage hater and onstage hater, depending on if I want resolution (offstage until I've been ignored) or how much a company has pissed me off (I try to post positive posts).